Maybe if these community police officers would have been armed they would have stayed and helped but instead they fled like everyone else. Daily Caller: Multiple eyewitnesses said that community police officers fled from Borough Market in London after seeing two men with knives stabbing people as part of a terror attack Saturday. These eyewitnesses told The Guardian’s Lisa O’Carroll that two men started stabbing people outside a restaurant in Borough Market, close to where the first terror attack took place on London Bridge, resulting in multiple fatalities. “I saw two guys with big knives downstairs outside Roast. They were stabbing people,” the eyewitnesses said. Perhaps the most jarring part of the testimony was a report that, instead of running to the stabbing to stop it, the police turned around and ran the other way. With the police out of sight, onlookers began yelling “stop, stop” and throwing chairs. 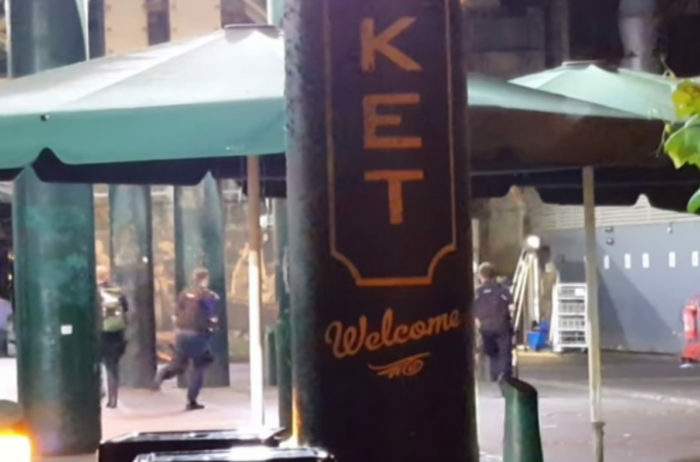 Mere hours after the events took place on London Bridge and at Borough Market, Metropolitan Police labeled them as terror attacks.